I have a confession to make: I almost never wear red nail polish. I know, right? It’s THE classic nail polish color. Someone who can rock bright red nails is someone who can rule a boardroom by day and be the belle of the ball by night. It’s a power color that matches the vibe of the powerful woman I’m trying (with mixed results) to be. So why don’t I wear it? Because it’s such a pain to take off! I guess there’s something weird about my nails, because I can scrub and scrub them with acetone, but it takes up to a week before the red stain on my fingers is totally gone. That’s why, when I decided I was going to do my next manicure with more colors from my new Electric Nights Baby Beats collection (what can I say? I’m obsessed! ), I was a little hesitant to use Red-Y to Rave. I know it’s not quite the type of bright red that would stain my nails (it’s more of a neon orange), but even having the word “Red” in the title is off-putting. I settled for a compromise based on a classy French-inspired manicure my coworker was rocking today, and decided to incorporate Red-Y to Rave into a French with a safer – but still electric! – base color: Glow with the Flow, a bright pink that’s so vibrant it practically screams. I’m not a girly girl by many standards, and I have a rule against wearing pink clothing because I’m a blonde who has suffered too many Barbie comparisons over the course of my life, but sometimes pink nails are a great, breezy way to let a little more brightness into my life. 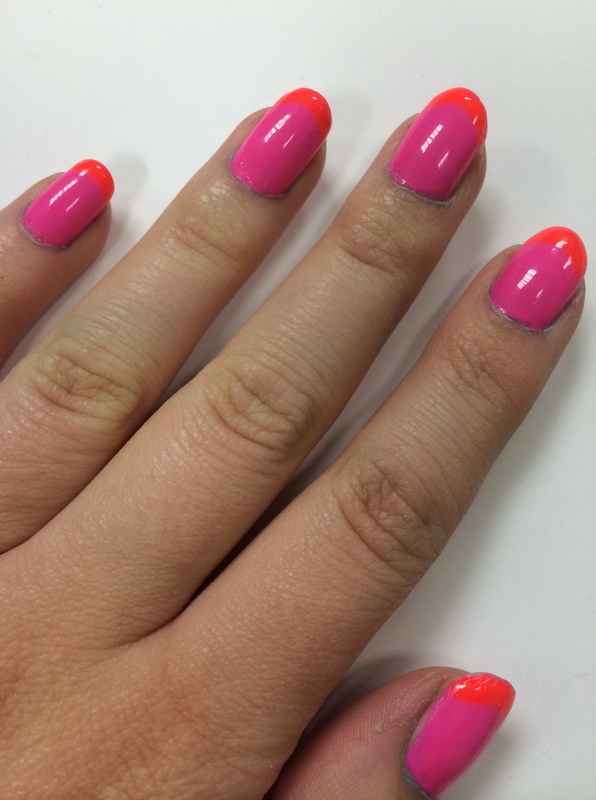 AND BOY ARE THESE NAILS BRIGHT! I’m loving the edgier look that the reddish-orange tips give the pink base – the almost-blinding neon appeal of Electric Nights is all still there, but it’s more my style, and not quite as reminiscent of a certain fashion doll. And the colors definitely matche the temperatures we’ve been getting here in the DC area – earlier this week, my car thermometer was reading 93! 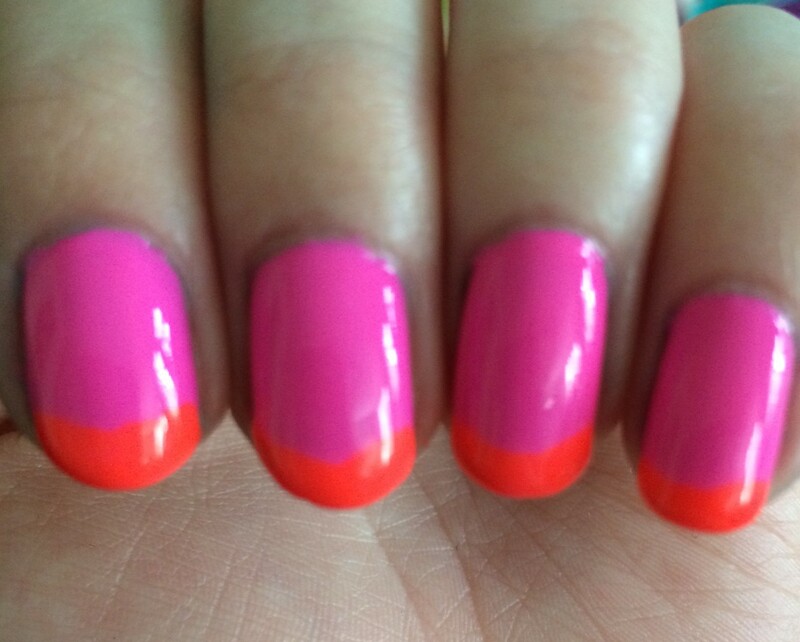 It’s the perfect occasion for red hot party nails…or at least as close as I’m willing to get.